There are a few things to keep in mind before embarking on an exterior painting project. Before you start your exterior painting project this spring or summer, it’s important to plan ahead and do your research. 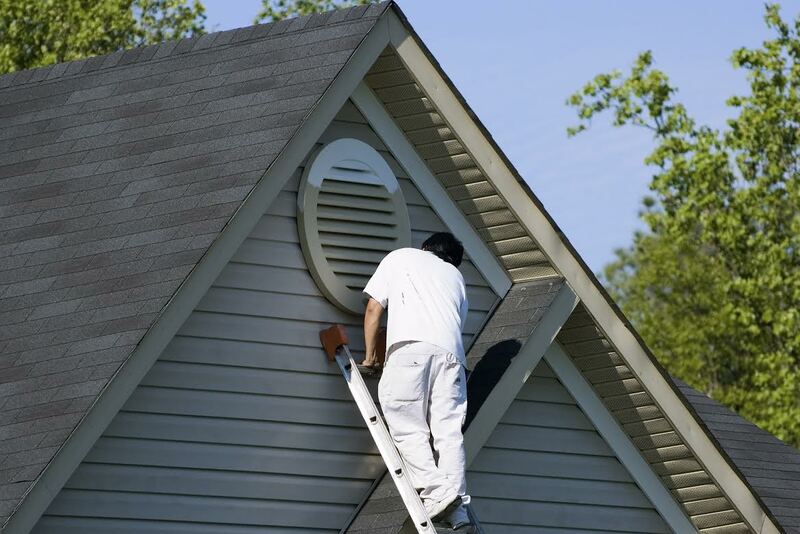 Without properly preparing, your exterior painting project could be a major headache. Here are six of the things that you should thoroughly consider before embarking on your exterior painting project. Do You Have Any Neighborhood Restrictions? If you live in a neighborhood with a homeowner’s association, check with them to see what paint colors and restrictions apply. In some areas, you might be limited to only a few shades. If you don’t check before you paint, you might be in for steep fines or steep fines and needing to repaint your home exterior. Exterior paint needs time to dry, so make sure that you plan out the time of year you’ll be tackling your exterior painting project. Avoid humid and damp days so that paint can get a head start on drying. Never paint during the coldest or hottest parts of the year. What Color Did You Really Buy? When purchasing large quantities of paint, there can be a natural slight variation between the cans. Always mix the cans together into a large bucket and make sure that everything is blended together before getting started. Exterior painting can be a messy endeavor, so cover up your landscaping before you get started to avoid any stray drips messing up your beautiful flowerbeds (or your treasured grill). Exterior painting is a huge home improvement project to tackle. If you aren’t sure whether or not you can handle the task, always hire a professional to get the job done for you. There is nothing wrong with getting a little extra help! Last but not least, when purchasing your paint and choosing your professional painting company, choose quality over cost. Cutting corners might mean a final product that doesn’t look very nice. Contact Atlantic Maintenance Group For Your Next Exterior Painting Project! This entry was posted on Friday, May 5th, 2017	at 6:14 pm	and is filed under Painter	. You can follow any responses to this entry through the RSS 2.0	feed. Both comments and pings are currently closed.